Naruto fans already have a mod based on it! Naruto C 1.6.2 and 1.5.2 is a mod that adds several elements that all those fans of this manga series will recognize, such as weapons, armor, and a new energy system based on the series. For short-range weapons you can create a new sword and the katana ninja. In long-range, you can make regular and large Shurikens, Kunai, Explosive Tag and Kunai, and Explosive Tag. About armor you can craft: Akatsuki costume, Konoha ninja costume, and other 18 ninja costumes. Naruto energy system is called Chakra and the mod has also added this system so you can manage by a new Chakra rechargeable bar that you can use for various skills like jumping up to 4 blocks, walk on water and some other things. Remember if you want further complete the mod, you can download the Skin of Sasuke. 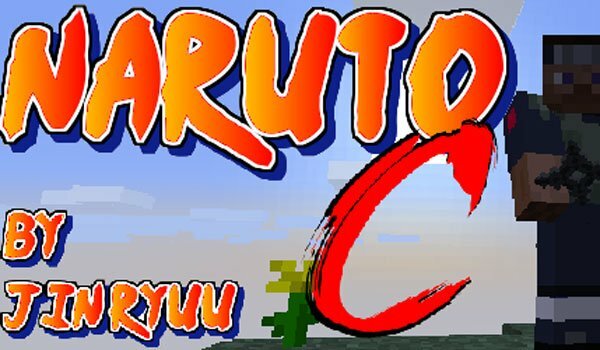 How to install Naruto C Mod for Minecraft 1.6.2? Paste the “JBRA Client” file into .minecraft / mods folder. How to install Naruto C Mod for Minecraft 1.5.2? Now the world of Naruto will be available in your Minecraft!